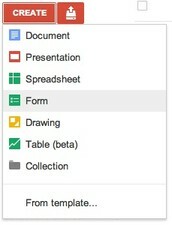 Aim: Students will learn about and create Google Docs. Document: a computer file that contains text that you have written. Presentation: the way in which something is arranged, designed. Spreadsheet: a document that has columns and rows which are used to calculate numbers and organize information. Google Drive also give you access to Google Docs, a suite of tools that allow you to create and edit a variety of different files, like Documents, Spreadsheets, and Presentations. Watch the video below to learn how to create Google Documents. 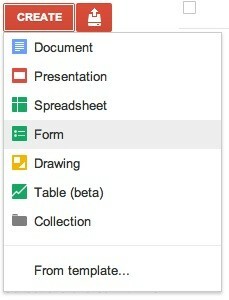 How do I create a document in Google Drive? Click on the 9 tiny squares on the top right hand side which are next to your account name. Locate and click the red Create button. Select the type of doc you would like to create from the drop-down menu. Your new doc will open automatically in a new tab on your browser. At the top of the page, click on Untitled document. The Rename Document box will appear. Type a name for your doc, then click OK.
You may notice that there is no save button. This is because Google Docs uses auto-save, which automatically and immediately saves your files as you edit them. Open a Google document on your computer. Using your personal device (iPhone, iPad, Android) open the same document. Type a few words on your device, you will notice that these words also appear on your computer. Explore what you can do on your device and test out how it looks on a computer. Some things you can try are increasing the font size, changing colors and centering your text. If you are doing this at home show your family how amazing Google can be!